Brave Weather to Return Home Triumphant! Alaska Wrestlers Pioneer RMN Events! 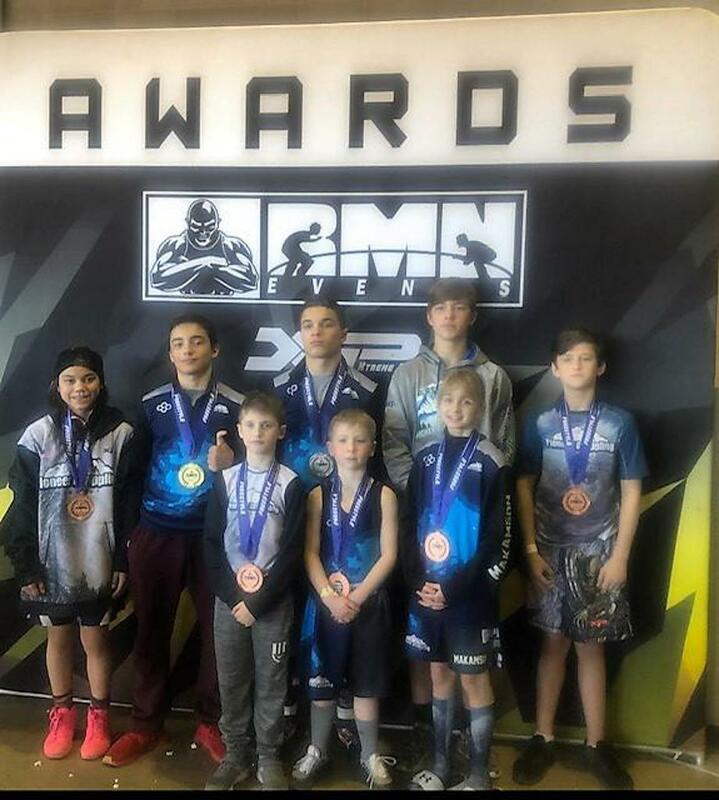 Alaska’s Pioneer Grappling Academy attended the 2019 Rocky Mountain Nationals. 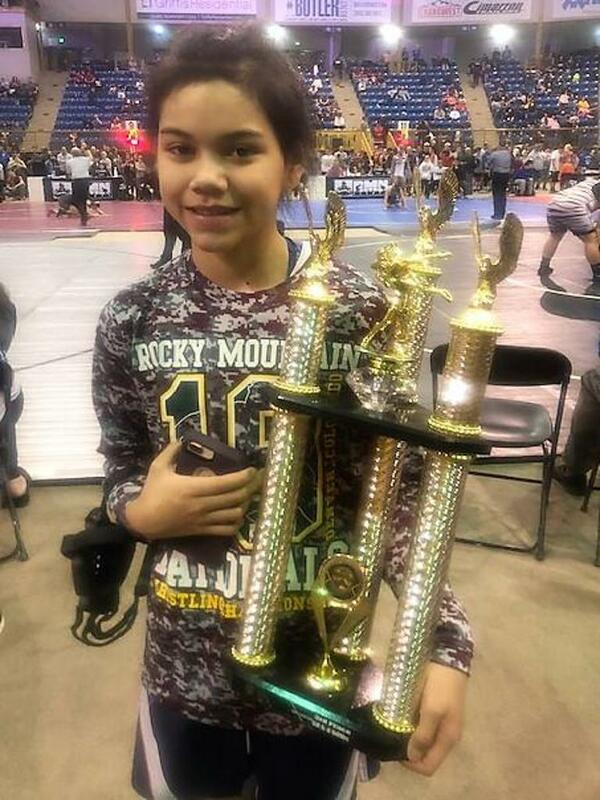 These wrestlers worked hard on and off the mat to get to Colorado. It is costly to travel from Alaska, so these wrestlers worked hard fundraising to attend this event. Due to the snow storm that hit Denver, these wrestlers were rerouted through Oakland to Salt Lake City. The team then drove to Denver to make the event and finally arrived on Thursday evening. Pioneer Grapplers wrestled in the freestyle tournament at Rocky Mountain Nationals and did well! 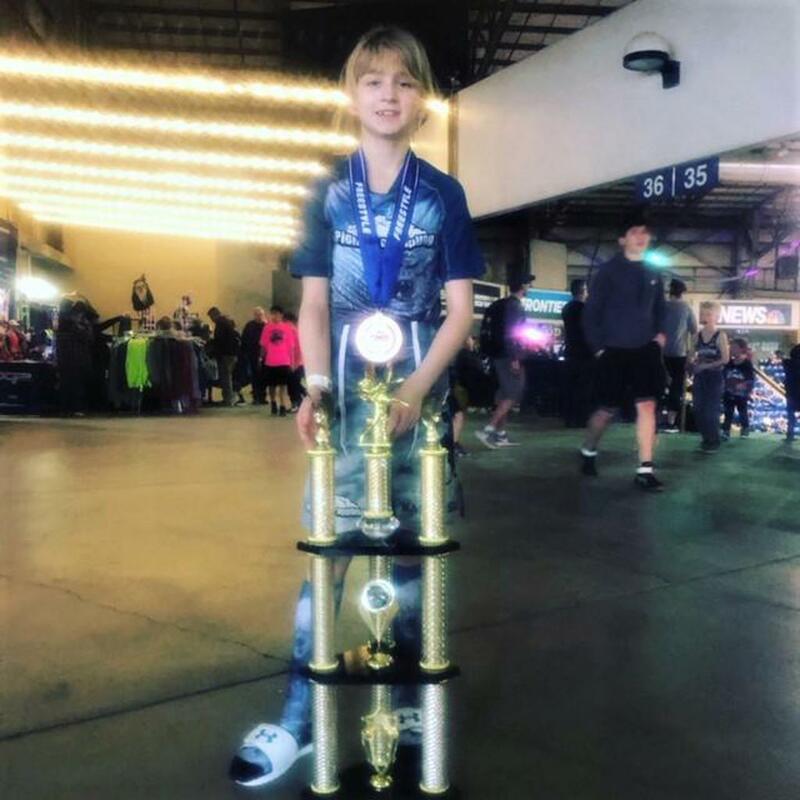 Back row - Amelia Fawcett - 5th place U12 90lb boys division, Carter Silva - 1st place U15 116lb division, Vinny Cramer - Finalist 2nd place U18 152lb division, Robbie Yundt, and Connor Murphy- 3rd place U15 95lb division. Front row: Regan Yundt - 4th place U8 54lb division, Carson Leaseman - 4th place U6 61lb division, and Kayden Makamson - 3rd place U10 61lb division. Kayden Makamson - Finalist 2nd place Girls 3-5 grades 65lb division and Amelia Fawcett 3rd place Girls 6-8 grades Division. This team is coached by Vince Cramer. 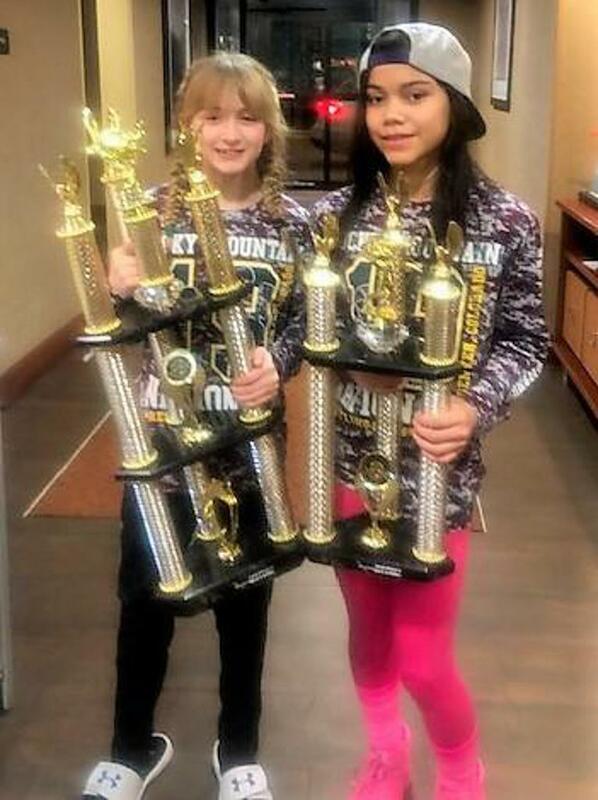 Pioneer Grappling Academy Girls places in the Folkstyle Tournament: Kayden Makamson - Finalist 2nd place Girls 3-5 grades 65lb division and Amelia Fawcett 3rd place Girls 6-8 grades Division.